Dianne Smith was introduced to union power in an unusual way. In 1998, two weeks after she was hired as a credit consultant in the Federal Way offices of Qwest Communications, the union that represented workers at the company went on strike. For two-and-a-half weeks Smith — who found out that she was indeed a union member — walked the picket line with fellow workers. “I was on strike for longer than I had worked,” Smith recalls. The incident helped place her on a path of support for unions — and she has never looked back. 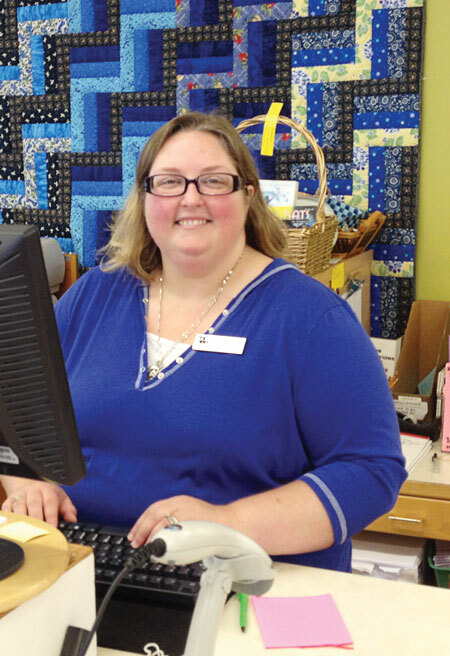 After working at Qwest for seven years, where she worked her way up to area vice president, Smith, a mother of three, moved to Birch Bay, taking a position at the Ferndale branch of the Whatcom County Library. Today Smith is assistant manager of the branch. Her job, which she really enjoys, focuses on services to children and teens. She recently completed an annual award ceremony for children in the library’s summer reading program, taking photographs of the children, writing up short details of their reading accomplishments, and posting them on a bulletin board. She also oversees nine pages as well as the regular library duties of answering questions from the public, checking books in and out and finding books that need to be replaced with new ones. A recent challenge has been the arrival of electronic books that have changed many aspects of library work. “It has been a wild ride, but we are managing it well,” Smith says. In addition, Smith — who is president of Local 1581 — devotes a considerable amount of her time to union activities. Smith credits a lot of her initial interest in unions to her family. Not only was her grandmother actively involved in the union, but also her father was a Teamster for 30 years when he was salesman for a bread-making company. “As kids, we got to hear a lot about what the union did for us, particularly in terms of health-care benefits and pay,” she recalls. As she looks back, Smith is grateful that her family pointed her in the right direction. She is benefiting now and is confident she will be doing so for a long time to come. “She has a very good working relationship with all the employees and a respectful role toward management,” says Staff Representative Vinnie O’Connor.